There are many different options in providing dignity and comfort to patients in hospitals, clinics and long term care facilities. Many patients in these treatment facilities may experience difficulties with incontinence due to injury, illness or chronic health conditions. Having disposable bed pads available to use with the patient on the bed, examination table or elsewhere can help the patient feel comfortable and less stressed during treatment, examination or care. Disposable bed pads can include several different designs and styles. Most types of disposable bed pads will have patient safety and comfort in mind and will include additional features that are designed to trap and hold larger amounts of fluid. This not only protects leakage around the pad onto the bed linens or exam table but it also helps to keep moisture away from the patient's skin. Polymer materials that can absorb and trap large amounts of liquid are commonly used which is similar to the material used in disposable diapers. Once the moisture enters the polymers it is held away from the surface of the pad, leaving the surface of the pad actually feeling dry to the skin. 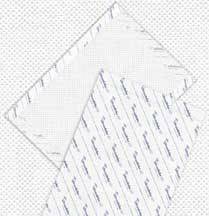 Non skid or non-slip backing on disposable bed pads has a twofold purpose. First for patient safety it prevents the pad from slipping across the bed linens or the table surface as the patient moves. The patient doesn't have to worry about the pad sliding out if they turn or move while sitting or supine on the pad. The backing also prevents the moisture from simply traveling through the layers of the pad to the linen or surface area below. It acts as a moisture barrier which makes clean up easy for staff. The fluff or polymer filler used in the disposable bed pad also makes it much easier for clean up and moving the pad after it has been soiled. Staff simply folds up the corners of the pad to the middle, ensuring that all moisture or waste is trapped within the pad itself for easy disposal. The low cost of the pads combined with the ease of use makes these ideal in all medical treatment settings. Different sizes of pads from 28 by 30 through to smaller 23 by 24 or 17 by 24 means you can select a size based on the specific patient. 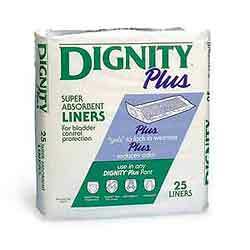 All types of disposable bed pads should be soft and gentle on the patient's skin. Most are designed to be hypoallergenic and create no possible skin reaction or irritation. Different brands or manufacturers will offer different levels of quilting or layers of padding that may make one type of pad more appropriate for longer or shorter term use with a patient. Staff will appreciate disposable bed pads over traditional fabric pads since they are designed for single use and then disposal. No need for washing, storing the pads for the laundry and, in the event of bowel incontinency, pre-washing or soaking that would be necessary with the reusable bed pads. They are also packaged to be easy to store in patient rooms or clinical exam rooms on a shelf or in a supply closet. They simply unfold and are ready for use.